Lucas Fox offer a range of Blanes real estate for sale, including first line estates, coastal villas, townhouses and holiday apartments. Blanes offers the attractive beaches and usual tourist activity one would expect on the Costa Brava but is also famed for its pretty Botanical Gardens and its prestigious residential developments overlooking some of the area's most beautiful bays, including Cala Sant Francesc, Cala Santa Cristina and Fenals. In these neighbourhoods, among others, we can find highly exclusive homes for sale and some of the finest real estate on offer in Blanes. These exquisite private residences often boast infinity pools with stunning panoramic sea views from their impressive cliff-top locations. If you prefer to be by the water's edge, Lucas Fox have a great portfolio of high-end beachfront villas in prime location such as Cala Sant Francesc. 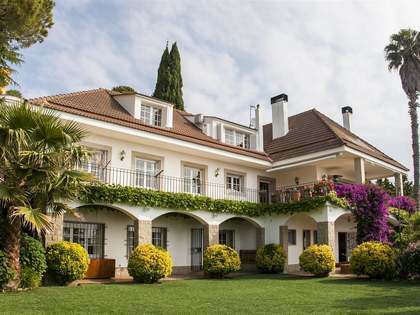 Homes with sun-drenched gardens with pools and summer kitchens overlooking the sea and spacious open plan interiors with a focus on light and a free-flowing layout are available as well as more traditional homes and some interesting Modernista period properties. 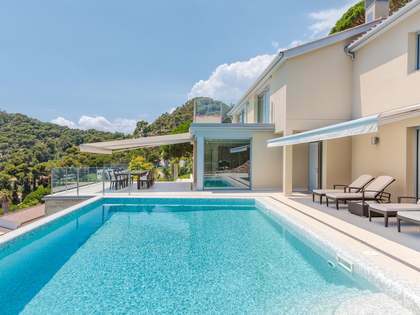 Enjoy browsing through the beautiful properties on our web page or contact our highly professional multilingual team to begin the search for your own coastal home in Blanes. Blanes is the first major town north of Barcelona on the Costa Brava, situated within easy reach of two airports (Barcelona and Girona). Often referred to as "the gateway to the Costa Brava", Blanes is one of the larger towns on the coast, with an estimated population of 40,000. 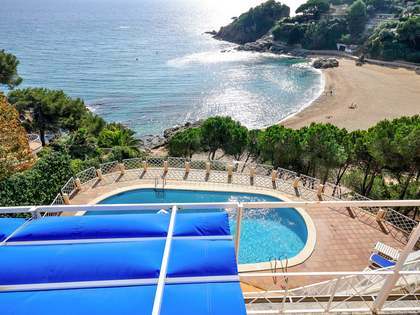 Popular with both international and national tourists and residents, Blanes boasts a picturesque port, many bars and restaurants, a vibrant nightlife scene and numerous recreational options including yachting, golf and cycling. Originally a traditional fishing village, Blanes is far from just a tourist resort; it is an authentic town with a steady year-round population and the corresponding infrastructure for day to day living, as well as street markets and traditional fiestas and colourful celebrations all year round. 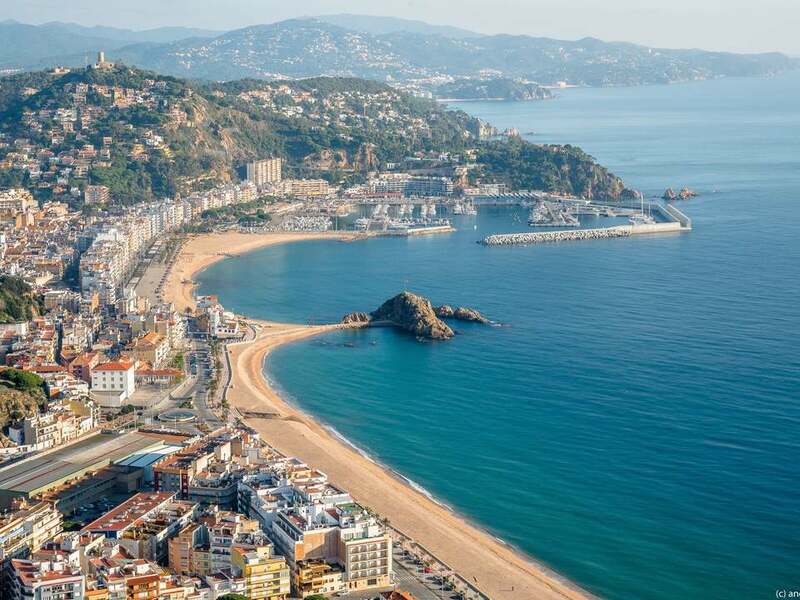 Most flock to Blanes for its sandy beaches and tempting hidden coves, equipped with a 4 km seafront promenade, dotted with restaurants, bars and cafes and backed by beautiful green hills. Playa de Treumal, Cala de Sant Francesc, Playa de Blanes, Playa de S'Abanell and Cala Punta Santa Anna are all great beaches, each with something different to offer, including all manner of water sports. If you can tear yourself away from the beautiful beaches, coves and bays, you will find a world of fascinating history in the town's interior, with many churches and historical monuments that tell the interesting tale of this area's past. Within reasonable day-trip distance from Blanes are the fascinating cities of Barcelona, Girona and Tarragona, as well as the unique Montserrat mountain range, the Marineland water park, Port Aventura and so much more.